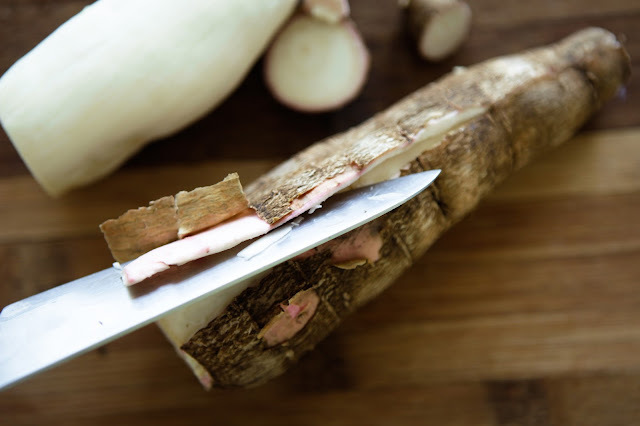 Cassava was one of my favourite tubers growing up, I have delicious memories of the savoury curries and all the sweet desserts my mum would make. I have neglected to use this amazing little tuber in my kitchen once I moved out of home. 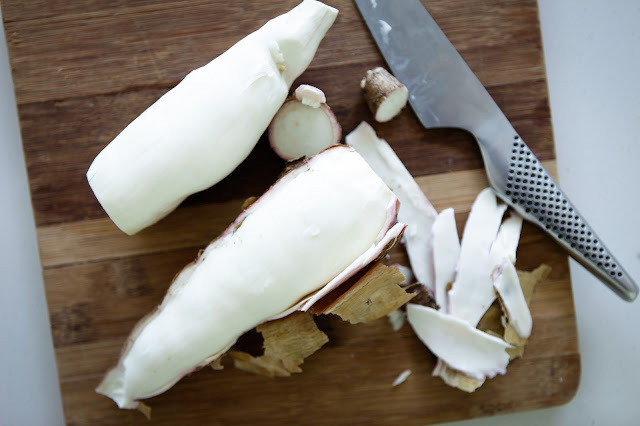 Now that I’m living in the land of cassava (Vietnam) with homegrown cassava at my mum’s country house I’m going to be making a few cassava recipes with my all time favourite Vietnamese Cassava Cake (bánh khoai mì) first. 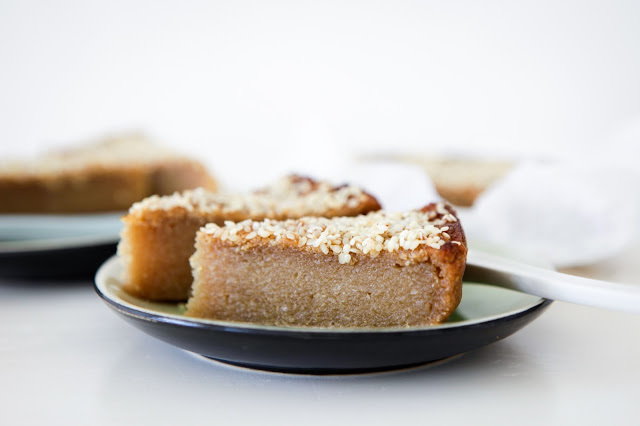 Vietnamese Cassava cake is traditionally already grain free but uses sweetened condensed milk, so I have replaced this with coconut milk and coconut sugar or you can use honey instead. 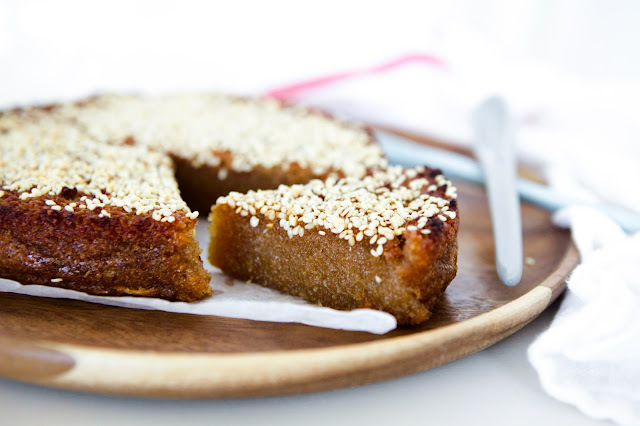 The coconut sugar makes the cake darker than the traditional version but still tastes great! 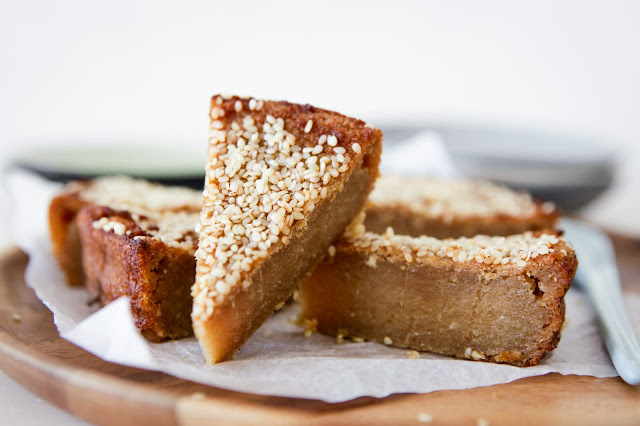 The consistency of this cassava cake is kind of soft with a firm gooey, chewy texture and a sweet nutty flavour. 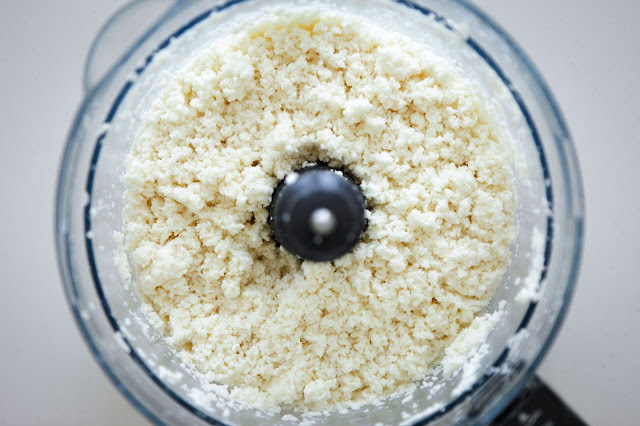 Cassava is also known as manioc root or yuca and I have often used tapioca starch in my recipes which is made from cassava, this recipe uses the whole tuber in its natural state. 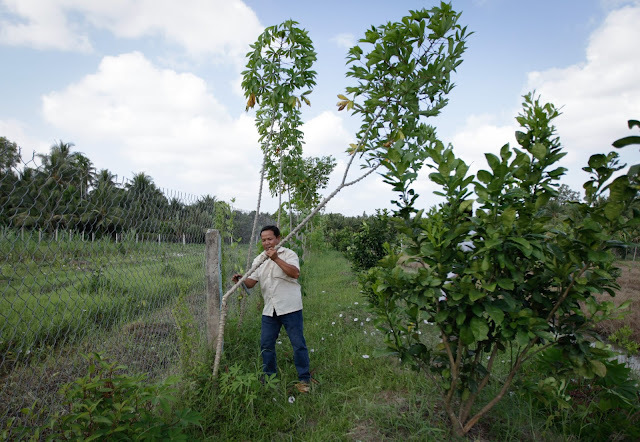 On researching more information on cassava I was really excited to read about all the wonderful benefits. 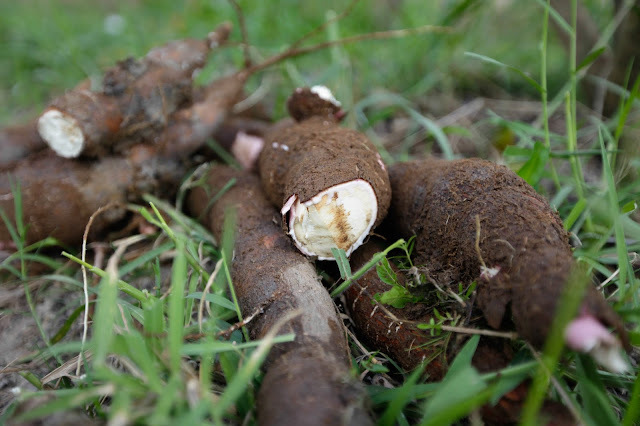 Cassava has a low glycemic index which is great for diabetics and is full of B vitamins and various minerals including zinc, iron, calcium, magnesium, potassium and manganese which are all vital to assist the body’s functions. 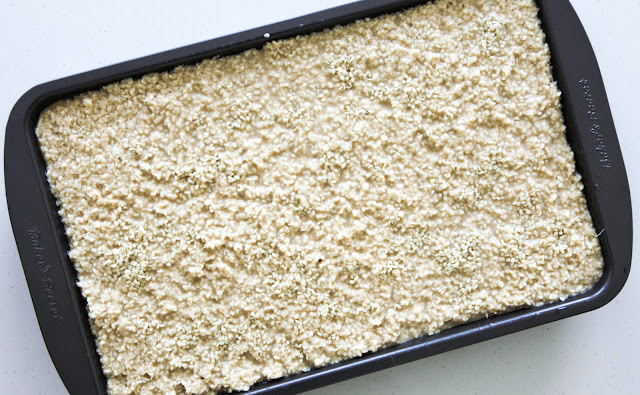 What was most exciting to me was finding out that it contains saponins that help with inflammation and can balance the gut flora by providing good resistant starches to feed the good bacteria in your gut. This is really beneficial for autoimmune disorders, irritable bowel syndrome and allergies. I’m definitely going to be adding cassava on a regular basis from now on! and not only is it good for you on the inside, I found out it also makes a good facial mask and scrub to brighten and hydrate the skin. Another one going on my list of things to do with this wonderful plant. and medicinal use it’s often discarded along with the stem. You only need five ingredients to make this yummy cassava cake. 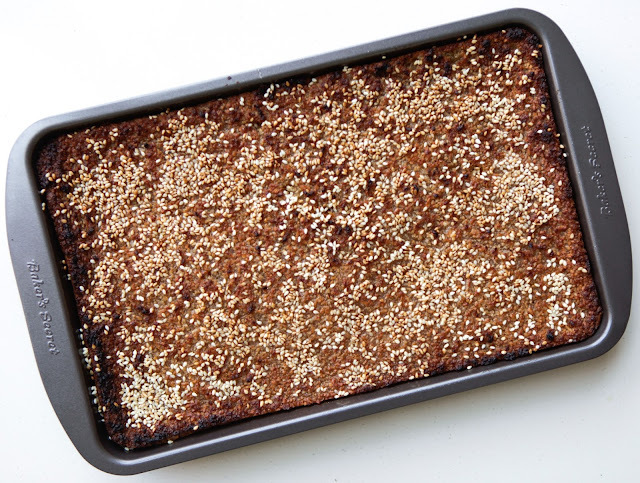 I have kept it simple with just some fragrant toasted sesame seeds on top and it keeps well in the fridge for about a week.